I like almost everything about this gun. Great trigger (very similar to the Steyr that I like). Very comfortable grip; it feels great in your hand. Points nicely with good full size, 3 dot sights. Not a bad price. When it has the stainless slide it is very attractive. 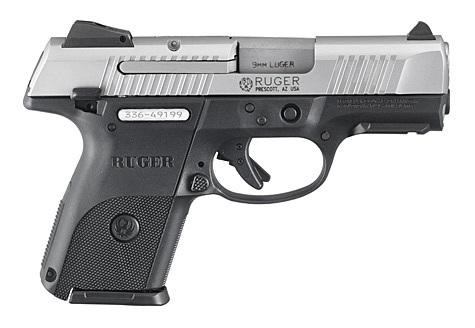 And it is from Ruger, so it should be reliable. Now for the one thing that will keep me from purchasing it. The loaded chamber indicator. It is awful. It sticks up far enough to make you think it would interfere with the sights (it doesn't) or stick on the holster and has very obvious text across it letting you know its loaded (Its my carry, its always loaded). Ruger should just make two variations; one with the indicator for California and the like and another for everyone else.